First of all, thank you very much for thinking about us when it comes to including a gift in your will. If you haven’t yet drawn up a will, we recommend using a will-writing professional such as a solicitor or someone from your bank. It’s not a particularly difficult or expensive process and could save a lot of time and expense later. In particular, a note to remember, if you draw up your own will there’s no guarantee it will be legally valid. You may want to secure the future of your family and/or friends first. This may mean setting up a trust for dependents. Many people then choose to leave a percentage of their estate to various charities. 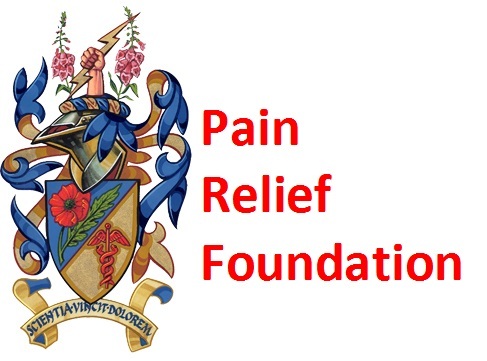 We sincerely hope that you’ll include us in your will and offer the hope of a life free from pain to future generations of Chronic Pain Sufferers. This is what remains of your estate, once other gifts and payments and expenses have been made. A residuary gift will keep pace with inflation meaning you are able to choose what proportion of your estate is left to friends, family or charity. This is a fixed sum of money, like £1,000 or £10,000. Of course, it doesn’t take into account inflation or the total value of your estate. A gift you would make if the person you first intended to benefit died before you. Making the decision will depend on your wishes and the kind of estate you are likely to leave. A professional can offer useful advice here. Appoint the individuals responsible for ensuring that your wishes are fulfilled. They will be named in your Will. It’s a good idea to name at least 2 people as executors. Before doing so, check they are happy for you to do this. You can name a bank or solicitor as an executor if you wish. It’s important to ask a legal professional to draw up your Will to ensure your wishes are properly carried out. Inheritance Tax is due on your estate only if it is valued over the current Inheritance Tax threshold or ‘nil rate band’ (£325,000 in 2011-12). Your estate value also includes any assets held in trust and gifts made within seven years of death. The tax is payable at a rate of 40% on the amount over the threshold, but not everyone pays Inheritance Tax as most estates are valued below the threshold. If you are a married couple or civil partners, you can increase the threshold on the estate when the second partner dies – to as much as £650,000 (in 2011-12). For further information on how to transfer an unused Inheritance Tax threshold, please visit HMRC. Should your estate be liable to Inheritance Tax, you could choose to include a gift to charity and reduce the amount due. The value of a gift will be deducted from your estate before Inheritance Tax is worked out. From 6th April 2012, changes to Inheritance Tax laws will be introduced so that if you make a gift to charity of 10% or more of your estate, the Inheritance Tax rate will be reduced from 40% to 36%. Your solicitor will often look after it for you, but you may wish to retain your own copy too. Tell a relative or close friend where the original copy of your Will is stored.